Objectives: We tested relations between aspects of maternal work and birth outcomes in a national sample and in subgroups known to experience disparities. Methods: Three indices of work attributes (Status and Recognition, Physical Demands, and Exposure to Conflict) were derived by factor analysis of variables extracted from the Department of Labor’s O*Net database. The indices were linked to the National Longitudinal Survey of Youth using occupation codes for the primary jobs held by women who gave birth between 1979 and 2000 and worked during the quarter prior to birth (n = 3,386 births to n = 2,508 mothers). Multiple regression was used to model birth outcomes as functions of the work attribute indices, controlling for several measures of socioeconomic status and risk factors for adverse birth outcomes. Results: In the full sample, work-related Physical Demands were associated with lower average birthweight and increased odds of preterm birth while Status and Recognition was associated with higher average birthweight and lower odds of fetal growth restriction. In stratified models, Status and Recognition was associated with higher birth weight among women with low (versus high) income and with lower odds of preterm birth among women with low (versus high) education. Physical Demands were associated with higher rates of preterm birth among women with low (versus high) income and education and among African-American mothers (compared to Whites). Conclusions: The work environment is an important predictor of healthy births. 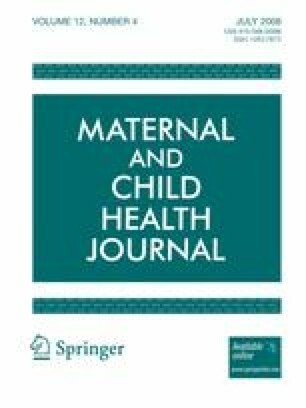 Relations between maternal work attributes and birth outcomes differ by race/ethnicity and socioeconomic status and according to the outcome under investigation. Further research with measures of work attributes specific to maternal work experiences is recommended to confirm our findings. J. F. Bell and F. J. Zimmerman initiated the study. J. F. Bell conducted the data analysis in collaboration with F. J. Zimmerman and P. H. Diehr. All authors contributed to the study design, interpretation of findings and manuscript preparation. Dr. Bell gratefully acknowledges funding for this work from the Agency for Healthcare Research and Quality (Grant #: T32-HS013853-01). A Certificate of Exemption was granted for this study by the University of Washington Institutional Review Board.